A son's story of living through and learning from his father's suicide. Ashes in the Ocean: Book Trailer from Nature Unplugged on Vimeo. Ashes in the Ocean: A Son's Story of Living Through and Learning From His Father's Suicide is available in print and as an ebook at Amazon, Barnes & Noble, and IndieBound. To win a copy of Ashes in the Ocean, please enter using the Rafflecopter form at the bottom of this post. The giveaway ends Sunday, April 1, 2018 at 11:59PM EST. We will announce the winner the next day on the Rafflecopter widget. Good luck! WOW: First of all, thank you for sharing your story and for choosing WOW! I am absolutely amazed by your bravery and touched by your honesty. How did you overcome your fears of how others might perceive the story of your father's suicide? What advice would you give others who consider sharing sensitive stories? Sebastian: This was a slow process for me. I spent a long time (from age 6 - 17) hardly sharing anything about my father let alone his suicide. During that window, there were a few times when I did share about my father’s suicide and I was met with judgement (and the stigma around suicide and mental health). Those experiences reinforced my belief that there was something wrong with me/my family and aided in my running away/suppressing thoughts and feelings around my father’s suicide. Sebastian and his dad at Windansea Beach. I had a breakthrough when I was 17 years old (and in a whirlwind of denial and shame around my father's suicide). I was visiting family friends in Perth, Australia and during that trip I had a life changing conversation with a one of my father's closest friends, John David. It happened that John David's father also died by suicide when he was a boy. A fact that I was unaware of prior to this trip. During our conversation, he shared with me some of the experiences and lessons which he had learned over the years from his father's suicide. When John David shared his experience with me it completely changed my life. For the first time in my life (since my father died) I felt like I wasn't alone. That conversation was enough to give me the courage and inspire me to stop running away from my father’s suicide. Beyond that, it encouraged me to step into it and learn from it. As for advice when sharing sensitive stories, (especially when in the early and more raw stages) it’s important to seek out people (friends, family, support groups, therapists) who can provide a safe space to share. Beyond that, I believe it’s important to remember that you’re likely not alone in dealing with what you’re dealing with and that these things are better out than in. WOW: You read my mind about support and I love how you say "provide a safe space to share" - that's so important. What role has your family played in publishing Ashes in the Ocean? Who has been your greatest support and how so? Sebastian: My family has been supportive during this process. My immediate family and extended family abroad (in South Africa and Australia) have inspired me and served as resources in making sense of this story and providing information about my dad during earlier phases of his life when I wasn’t around. I have also been fortunate to have an incredible network of family friends here in California and abroad who have helped and supported me throughout. Out of everyone, I’d say that my mom has been my greatest support. She’s helped me with putting the pieces of the story together. And, throughout this process I drew inspiration from the strength and courage she showed in supporting my sister and I in the years after my father died. Her courage helped keep me going when things got tough in the writing process. WOW: I'm glad you found the support you needed, and I'm sure the process was therapeutic for your mother as well. When you first began writing, what were you hoping to gain by sharing your story of loss? How has this changed as the project progressed? Sebastian: When I first started on this book my hope was that I’d be able to help at least one person who was in a similar situation as I was when I lost my dad. As the project progressed and is now coming to a close this intention remains true. Beyond that, this has turned out to be incredibly helpful for me and my processing which has been an unexpected side effect of the journey. The process of writing in itself has unveiled so many insights (both personally and relating the the story) that I don’t think I would have come to otherwise. WOW: You're not in this journey alone, that's for sure. There are many families touched by suicide even if it is an attempted suicide. This is a big question and one that touches so many. What resources do you recommend to those families trying to navigate their own feelings? Sebastian: This is a big and difficult question. I think the answer depends on the particular situation and dynamics of the family. There are a great deal of resources out there for individuals dealing with depression and suicidal ideation, as well as for friends and family members to help in support. This is not my area of expertise but would point people seeking more information to the American Association of Suicidology: http://www.suicidology.org. As for other general recommendations to families trying to navigate their own feelings, I would encourage families to speak as openly and directly as possible about topics like suicide and mental illness. Based on my personal experience, and in speaking with many survivors about this, it is all too common for conversations (and feelings) around topics like suicide, depression, and mental illness to be avoided and suppressed. While avoidance makes things easier and more comfortable in the short term, it’s not a solution and will make things far more difficult and complicated down the line. I would encourage individuals to feel and acknowledge what emotions are coming up for them around these topics. I would also highly recommend working with a counselor, therapist, other mental health professional, support group, to help facilitate this process of cultivating greater awareness of ourselves and others. WOW: Thank you for tackling the tough questions and providing such great ideas. I appreciate your honesty. What's next for you personally? Professionally? Sebastian: My next steps are to continue to get out and speak about suicide and what it means to be a survivor. I’m deeply passionate about using this book and speaking as a vehicle for helping others have the conversations that need to be had about suicide and mental illness. I see this is a way to do the work of breaking down the stigma and shame around these topics. Additionally, my partner, Sonya, and I have a business called Nature Unplugged where we offer coaching, workshops, and retreats focused on cultivating wellness through healthier relationships with technology and a deeper connection to nature. I’m excited to continue to grow and develop what we do. I see Ashes in the Ocean as the “why” behind my passion and inspiration with Nature Unplugged. On more of a personal note, I’m looking forward to doing some traveling this spring, some related to the book release and some not. I’m also eager to continue to enjoy the beauty around my home in Encinitas, California with lots of surfing, hiking, and adventuring with Sonya. WOW: Sounds like many adventures await you, but before we go today, what advice do you have for survivors? Sebastian: Surviving the suicide of a loved one is one of the most difficult things a person can deal with. I have tremendous empathy for survivors. And, in the aftermath of a suicide I believe it is particularly easy for survivors to take on a lot of shame and blame and to play the role of the victim. I know this all too well. I spent a very long time running away from my father’s suicide, living in shame and playing the victim. My advice for survivors would be to turn and face it. To feel it and deal with it. This would look different to different people. To turn and face it could be talking to friends and family, finding a support group or therapist, it could be writing about it, singing about it, sitting with it, in other words bringing intentional awareness to it and processing it in some way. Beyond that I would encourage survivors to use this loss and situation as something we can learn from and grow stronger in spite of. WOW: Speaking of learning and growing, what advice would you give to your 6 year old self if it were possible to get together for ice cream and a chat? Sebastian: Wonderful question and this idea is what inspired me to write Ashes in the Ocean. I’d love to hand my six year old self a copy of the book but I don’t think my reading skills were that stellar back then. I think the challenging thing would be to put it in language a six year old would understand. Sebastian, there are some things I want to share with you (I’ll fast forward through my explanation of how I was able to travel back in time for this ice cream chat). Dad’s death was terribly sad. I want you to know that it’s okay to be sad and cry. It’s okay to be angry. It’s okay to feel everything that’s coming up for you. This whole thing isn’t your fault, it’s not your sister’s fault and it’s not your mom’s fault. While dad’s death is very sad and this is a big loss, you’re going to be okay. You are strong to begin with and while it may not seem like it, this is going to make you stronger. Most importantly always remember that you’re not alone. WOW: I could chat with you all day, but I promise this is the last question - you've been so lovely with this process and I must ask: If Ashes in the Ocean were made into a movie, what song would you choose to compliment the movie and why? WOW: Thank you for such a wonderful message for our readers! We can't wait to see when the reviews come in about your incredible book. Join us at the Muffin for an author interview and book giveaway for the inspirational memoir by Sebastian Slovin, Ashes in the Ocean: A son's story of living through and learning from his father's suicide. Join readers at Book Santa Fe as they hear from Dawn Farnsworth while she reviews Sebastian Slovin’s touching memoir, Ashes in the Ocean: A son's story of living through and learning from his father's suicide. Fellow suicide survivor Madeline Sharples reviews Sebastian Slovin’s memoir, Ashes in the Ocean: A son's story of living through and learning from his father's suicide. 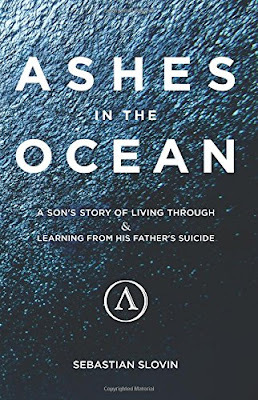 Wisconsin educator and mother, Alison Taylor reviews Sebastian Slovin’s moving memoir, Ashes in the Ocean: A son's story of living through and learning from his father's suicide. Sebastian Slovin pens today’s guest post “The Stigma of Suicide” at Our Side of Suicide. Stop by and learn more about Slovin’s personal and touching memoir, Ashes in the Ocean: A son's story of living through and learning from his father's suicide. Jerry Waxler, fellow memoirist, reviews Sebastian Slovin’s deeply touching memoir, Ashes in the Ocean: A son's story of living through and learning from his father's suicide. 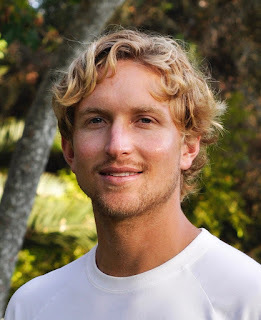 Kathleen Pooler shares her thoughts with readers at Memoir Writer’s Journey as she reviews Sebastian Slovin’s moving and inspiring memoir, Ashes in the Ocean: A son's story of living through and learning from his father's suicide. 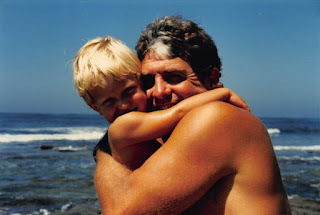 Dawn Thomas reviews Ashes in the Ocean: A son's story of living through and learning from his father's suicide for readers at Bella Donnas Books. Wisconsin mother and autism advocate Michelle DelPonte was eager to read Sebastian Slovin’s touching and inspirational memoir. Stop at Bring on Lemons as Michelle shares her thoughts after reading Ashes in the Ocean: A son's story of living through and learning from his father's suicide. Nicole Pyles reviews Ashes in the Ocean: A son's story of living through and learning from his father's suicide and shares her thoughts with readers at World of My Imagination. Learn more about this touching memoir and it’s author Sebastian Slovin. Sreevarsha Sreejith reviews Ashes in the Ocean: A son's story of living through and learning from his father's suicide. Don't miss this opportunity to hear from Sreevarsha and visit To Write or Not to Write. 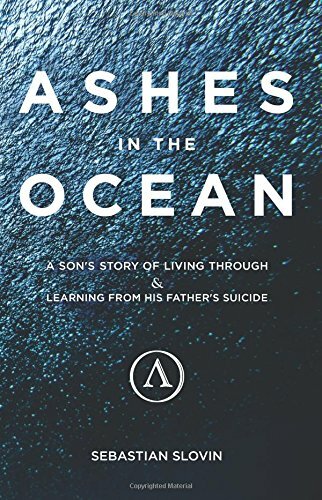 Crystal J. Casavant-Otto reviews Sebastian Slovin’s memoir Ashes in the Ocean: A son's story of living through and learning from his father's suicide. Fellow author Renee Roberson reviews Sebastian Slovin’s memoior Ashes in the Ocean: A son's story of living through and learning from his father's suicide. Deb shares her thoughts with her readers after reading Sebastian Slovin’s memoir Ashes in the Ocean; A son's story of living through and learning from his father's suicide. Catherine Brown reviews Sebastian Slovin's touching and empowering memoir for readers at Write Happy. Don't miss this opportunity learn more about Ashes in the Ocean: A son's story of living through and learning from his father's suicide. Varnika Jain reviews Sebastian Slovin's Memoir Ashes in the Ocean for readers at Ingenious Opinion. Don't miss this blog stop! Enter to win a copy of Ashes in the Ocean by Sebastian Slovin! Just fill out the Rafflecopter form below. We will announce the winner in the Rafflecopter widget on Monday, April 2nd! What I keep hearing again and again with people who have read "Ashes in the Ocean" is how much this book helps them understand what it feels like to be a survivor of suicide and how helpful Sebastian's story is. This is definitely a memoir worth reading. Thank you Sebastian for your bravery and dedication to empowering and helping others. Sebastian: Thank you for having the courage to write this book. We need to have more honest discussions about suicide and mental illness. I'm a survivor myself. My mom committed suicide when I was thirteen-years-old and I spent a very long time running away from it as well. Now, I'm finally facing it and running towards the truth by having discussions about it and writing. You say that surviving the suicide of a loved one is one of the most difficult things a person can deal with. I agree, because there will be always be so many unanswered questions and guilt/shame that the only way you can seek peace is to find it within yourself. I'm looking forward to reading your book. Your dad sounds like an amazing athlete and person, and I'm interested in learning more about your journey as a survivor. All the things you are doing are remarkable and inspirational. I love the idea behind Nature Unplugged and can't wait to see what you do next. Good luck on your blog tour! PS. You picked two of my favorite songs. I love the Pixies and Fight Club is one of my favorite movies. I've read almost every single Chuck Palahniuk novel. In fact, his books are one of the reasons I wanted to write fiction. Thanks again for the interview! I just wanted to say thank you for sharing your story. Thank you for sharing your story. I look forward to reading it. Crystal--Thanks for this interview. The question about what song would complement the story--if a movie was made--was a great one. Sebastian--It takes courage to share painful things. However, it can lead to your healing as well as healing for your readers. Suicide took my birth mother away before I could ever meet her. I'm with Angela--I love Chuck Palahniuk's books. Especially "Haunted." It's about writers embarking on a twisted writing retreat. If you haven't read it, you should. Keep writing with honesty and bravery. Crystal, thank you so much for the interview. I appreciate your support as well as your passion and thoughtfulness. Angela, thank you so much your comment and support. I'm very sorry to hear about your mom. And, I really appreciate you sharing about her and your own journey with it. It sounds like we have a lot of parallels on our paths. You bring up a great point with the unanswered questions and finding peace within. Very well put. Also, thank you for your note about the songs. It's funny, when I chose them I had this thought that no one is going to know these jams. I'm surprised/happy that wasn't the case. And, I'm totally with you on Chuck Palahniuk. Thank you and looking forward to hearing your thoughts on the book. Thank you Iana. Looking forward to hearing your thoughts when/if you read it. Sioux, much gratitude for your support and encouragement on this journey. I'm sorry to hear about your mom and I appreciate you sharing. I think as we continue to share and connect on this topic it makes it easier for others to do the same. Thank you Margo, I appreciate it. Thanks for taking the time to read. I look forward to hearing your thoughts on Ashes in the Ocean Roberta. I lost my own dad to suicide, and I think this could be a helpful read for me. Becca, I'm very sorry to hear about your loss. Thank you for your comment. I wrote the book for others who have lost family members or loved ones by suicide. I'd love to hear your take on the book when/if you read it. And, I look forward to continuing the conversation and being a resource in any way that I can.